Starbucks Been There Ornament Michigan v2 is finally here and I have to mention, that the bigger version of updated Michigan mug was spotted almost 3 months ago. 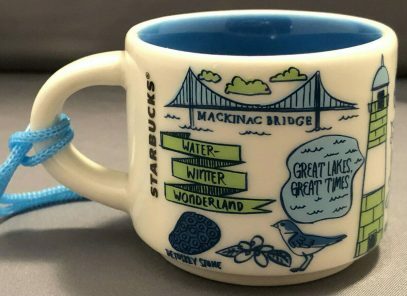 As a reminder, the only change, the new mug is introducing, is “Winter Water Wonderland” slogan being replaced with “Water Winter Wonderland”. And as I’ve suggested earlier, I consider this a fix and not just a revision, since there was, obviously, the wrong motto used for v1.